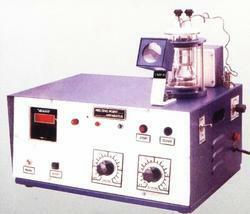 Leading Wholesale Trader of melting point apparatus from Mumbai. We are a leading supplier ofMelting Point Apparatus. This is an automatic scientific instrument, used to measure the melting point of different substance. Also, the apparatus has high precision, and melting point is displayed on 3 1/2 digit display on front panel. Moreover, the apparatus is also provided with automatic furnace cut off with audio and visual indication. Looking for Melting Point Apparatus ?